Let’s get one thing straight – there’ll be no marquee arrivals at Liverpool today – whether fans think we need a few more in the door or not! Jurgen Klopp is happy with his options and doesn’t want to upset the apple cart, with his current squad five points clear with 14 games to go of the Premier League. But next season, we undeniably need offensive recruits. Daniel Sturridge will depart on a free, Dom Solanke was sold earlier this month and there’s surely no real future for Divock Origi. 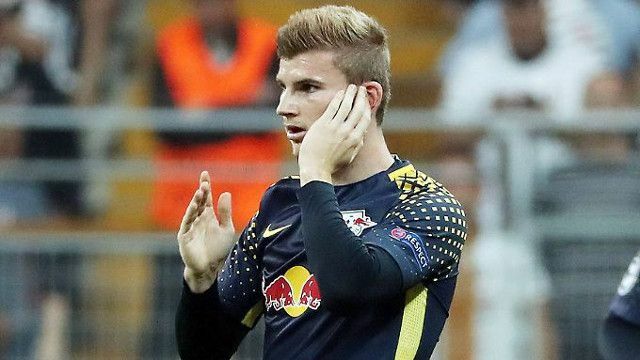 Timo Werner has been the forward heralded by most as the likely potential arrival, although the Germany international will have plenty of suitors. David Lynch of the Evening Standard says Liverpool are monitoring the 22-year-old’s situation, but is very aware that he already has a jaw-dropping front-three at his disposal and needs a player capable of joining the group as a rotation footballer and not an automatic starter. “Klopp already has someone in mind for the aforementioned opening of back-up striker: teenage sensation Rhian Brewster,” writes Lynch. “That said – and this is perhaps the crux of the matter – he will also know that Brewster’s undoubted talent comes with no guarantees given his tender age and lack of football over the last 12 months. Judging by these quotes, it seems Liverpool may only move for Werner if Klopp isn’t blown away by Brewster in the summer of 2019, where the youngster will be afforded multiple friendly opportunities in which to shine once fully fit. So in many ways, it’s win, win for Reds. Either we get a shiny new striker in the door, or Klopp has been so impressed by one of our teenagers that he’s going to throw them in at the deep end.